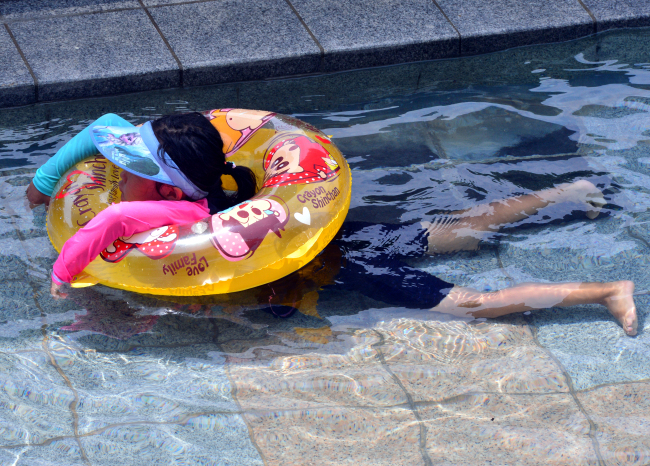 A record heat wave has been scorching the peninsula this summer, with a temperature north of 40 degrees Celsius marked in Daegu. 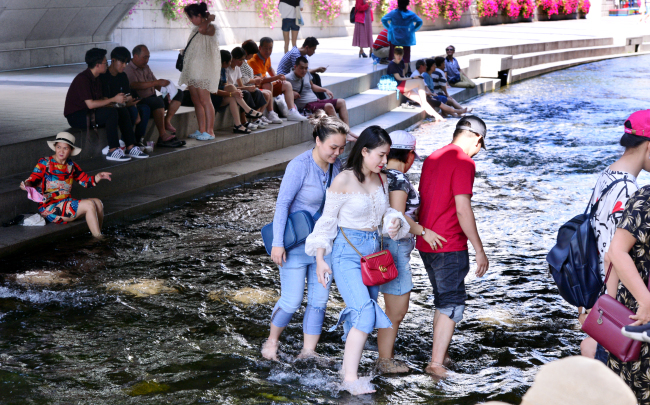 The heat wave even thinned out the crowds of the usually busy streets of Gwanghwamun Plaza of Seoul, as Seoulites seek refuge in the well air-conditioned indoors. 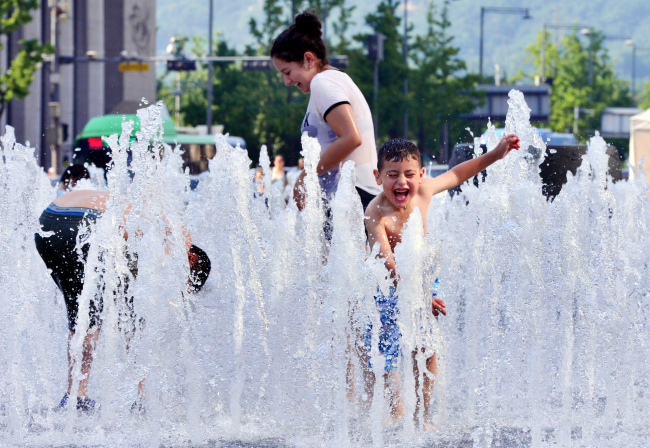 Bustling with people, however, is the fountain area where children have the time of their lives running through the spouts of water shooting out from below their feet. Some adults join in to wash their faces or hands and take a moment’s respite from the blazing heat. Even if you are not looking to get soaked, many people linger by as the mere sight of the fountain is comforting on a hot day. 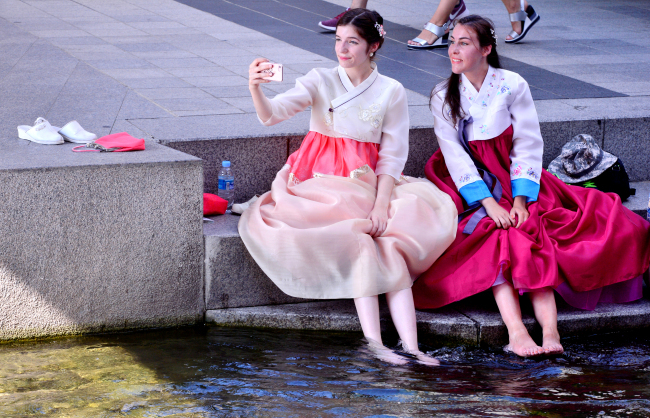 Not far from the plaza is the Cheonggyecheon stream where people can be seen dipping their feet in the water. After sunset, the crowds come out to enjoy a walk along the stream. Summer is also a time to go swimming, which is why places like the public pool near Sungnaecheon in Songpa-gu are swarming with people. 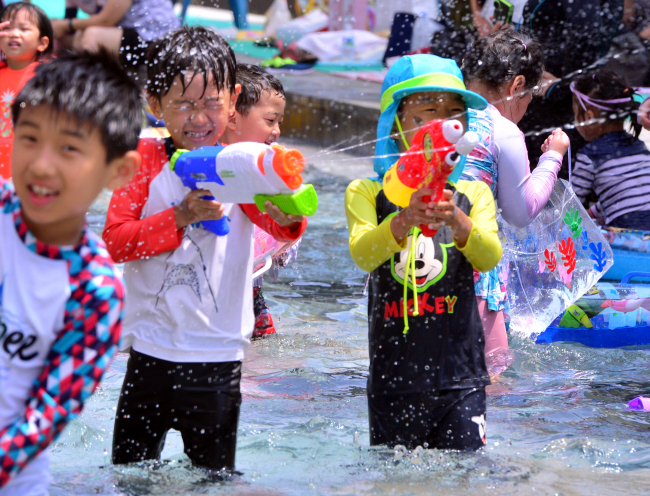 Children swim and have water gun fights, forgetting all about the heat wave that has plagued the peninsula in recent weeks.